I love to read. But I just put down Thomas Friedman’s new book, Thank You for Being Late about the too-rapid, frenzied acceleration of climate change, technology, and globalization in the world because—I confess—I felt it was too slow-paced. I was impatient. If I slow down and pay attention to my life closely enough, I see particular patterns emerge. If I listen to my life, certain messages are repeated. Lately, the messages and patterns are all about my need to relearn patience. Take things slowly. Sit with decisions. Wait. Two years ago, I blew out my knee while hiking in the snow and ice on the 606, Chicago’s terrific new urban trail. Since then, I’ve become much more aware of my own limitations. Because I have to physically slow down, it’s forced me to slow down in other ways. To become more attentive. More patient with myself. More patient—hopefully—with others. But I can’t say it’s been easy. Until I was forced to slow down, I thought I was a pretty patient person. But there’s nothing like congratulating yourself on a virtue you think you have to discover how pitiful your abilities really are. Patience? Let’s see what she’s got. You quickly realize your illusions about yourself. In the last few months, I’ve been invited to practice patience. Sitting in hospital waiting rooms. Long hours of car travel. Trains that didn’t run as scheduled. Cancelled flights. Jets that sat on the tarmac without taking off. Listening to endless loops of “on hold” music on the phone while watching time tick away. Anxious hours waiting for our new granddaughter to be born. Waiting for a response from someone I e-mailed weeks ago about a project. Waiting for the temperature to warm up past zero so I can hike longer than 20 minutes at a stretch. Waiting. Waiting. Waiting. Those of us who love the tallgrass and work with prairie restoration are well acquainted with patience. We know the power of waiting. Nothing worthwhile happens on the prairie without it. And yet. Our world values speed. It values brevity. It promotes instant gratification. One click! Is “next day” not soon enough? How about the same day, then? Faster! Faster! The prairie reminds me that many good things take patience. The pale purple coneflower seedhead below is an echo of numerous cycles of freeze and fire; sprout and leaf; bud and bloom. In only weeks, the prairie will be touched by flames again. Floods of flowers will follow. None of this can be rushed. That’s part of the beauty of the whole. What makes it so meaningful. Think about it. Slow might be the way to go. Take a minute and look. Don’t be in such a hurry. With the prairie as my model, I’ll keep trying to practice patience. Paul Gruchow (1947-2004) was a Minnesota writer who wrote such beautiful books as Travels in Canoe Country; The Boundary Waters: Grace of the Wild; Journal of a Prairie Year; The Necessity of Empty Places; and Grass Roots: The Universe of Home from which this opening quote was taken. All photographs copyright Cindy Crosby (top to bottom): Belmont Prairie Preserve at sunset, six degrees, Belmont Prairie Preserve, Illinois DNR, The Nature Conservancy Illinois, Belmont Prairie Preserve Association, Downer’s Grove, IL; thimbleweed (Anemone cylindrica), Belmont Prairie Preserve, Illinois DNR, The Nature Conservancy Illinois, Belmont Prairie Preserve Association, Downer’s Grove, IL; old apple tree (Malus unknown species), Schulenberg Prairie Visitor Station, The Morton Arboretum, Lisle, IL; shadows in the snow, Schulenberg Prairie, The Morton Arboretum, Lisle, IL; prairie dock leaf (Silphium terebinthinaceum), Schulenberg Prairie, The Morton Arboretum, Lisle, IL; probably Canada goldenrod (Solidago canadensis), Belmont Prairie Preserve, Illinois DNR, The Nature Conservancy Illinois, Belmont Prairie Preserve Association, Downer’s Grove, IL; rattlesnake master (Eryngium yuccifolium), Belmont Prairie Preserve, Illinois DNR, The Nature Conservancy Illinois, Belmont Prairie Preserve Association, Downer’s Grove, IL; pale purple coneflower (Echinacea pallida) seedhead, Belmont Prairie Preserve, Illinois DNR, The Nature Conservancy Illinois, Belmont Prairie Preserve Association, Downer’s Grove, IL; pale purple coneflowers (Echinacea pallida) (foreground), Schulenberg Prairie, The Morton Arboretum, Lisle, IL; pale purple coneflower (Echinacea pallida) seedhead, Belmont Prairie Preserve, Illinois DNR, The Nature Conservancy Illinois, Belmont Prairie Preserve Association, Downer’s Grove, IL;sunset on the Belmont Prairie Preserve, six degrees, Illinois DNR, The Nature Conservancy Illinois, Belmont Prairie Preserve Association, Downer’s Grove, IL. 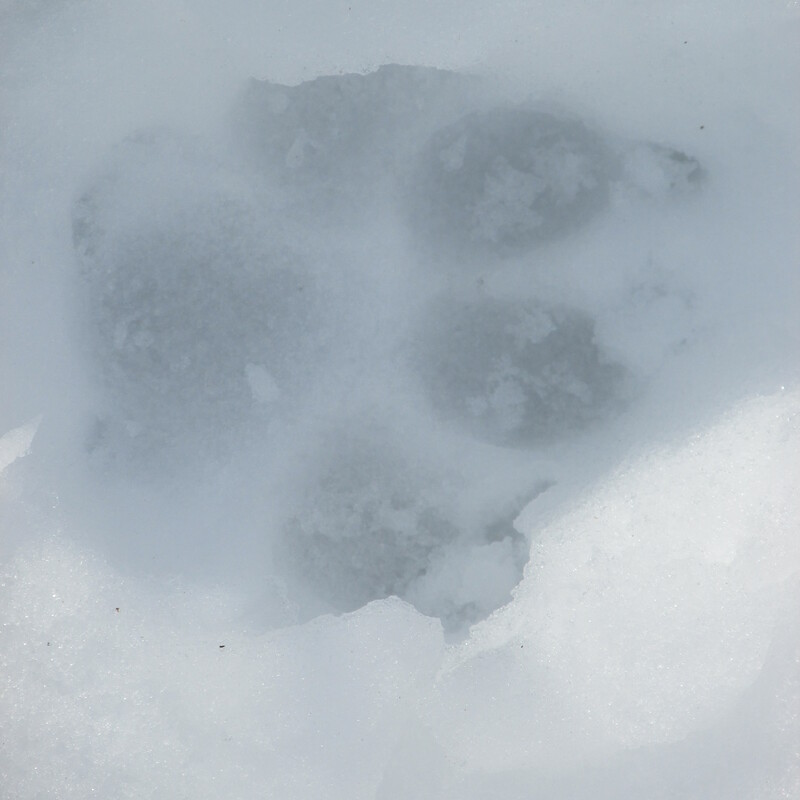 We are taught to “leave no trace” when we visit a natural area, such as the prairie. Pack out our trash. Stay on the path. Respect what we find. Yet, there is another side to this simple saying. 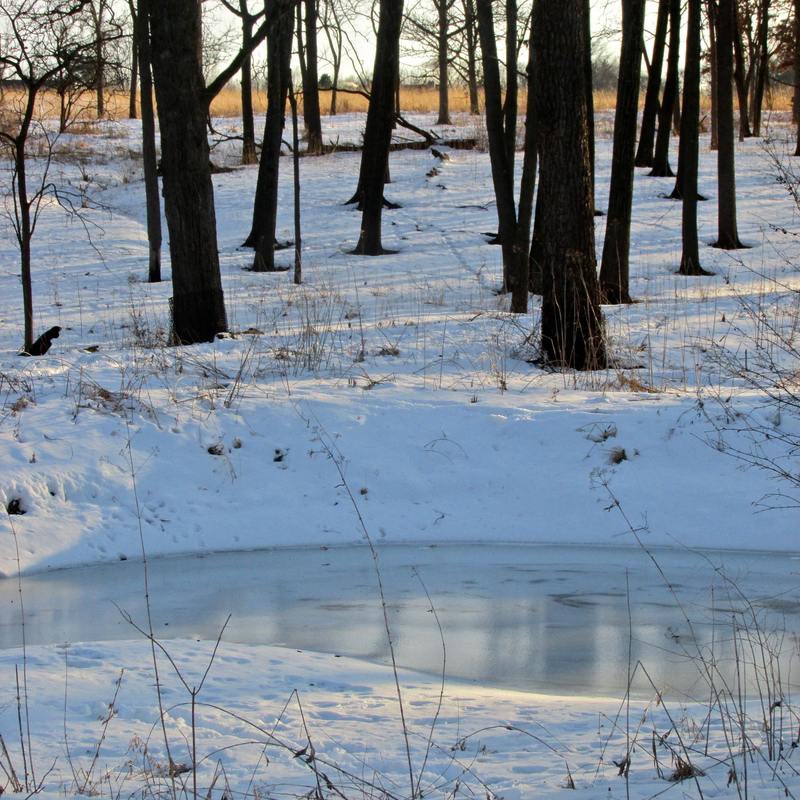 Hike the prairie early in the new year. Look carefully. In the shady hollows, there are transitory marvels. Rock candy sticks of ice linger until the sun strikes. Then…vanish. The past months melt away. There are lingering signs of the life of the prairie to come. To hike a prairie is to be prompted to want to know more about it. Paying attention is one way to grow more deeply in understanding the tallgrass. Helping restore it with others is another. When we care for a place, we are more “careful” of that place. But familiarity sometimes breeds carelessness. So… How do we break out of the same patterns of thinking? How do we open ourselves to seeing and thinking about prairie in new ways? Come with me, and surf the grasses; ride the waves of the prairie in January. Admire the tweediness of the grass colors, bleached and burnished. Follow a path not taken before; explore in all directions. Who knows where you’ll end up? What might be found on the other side? It might not all be softness and light. The prairie can be harsh, unforgiving. No surprise. It’s a landscape that must be burned again and again to become strong. Through beauty and terror–and even, the ordinary–the prairie imprints itself on the heart. It reminds us of our insignificance in the big scheme of things. It also whispers: “One person who lives intentionally can make a difference in the bigger life of a community.” Even if only a trace. Yes, if you’re careful and pay attention–stick to the trails, carry out your trash, speak softly, admire the blooms but don’t pick them– you may “leave no trace” in the tallgrass. If you give back to the prairie–learn the names of its community members, help gather its seeds, pull weeds —you may leave traces on it of the best kind. But be warned. The trouble with “leave no trace” is that the prairie does not follow the same principles you do. It will cause you to think more deeply. To care more fully. To pay attention more intently. The prairie will leave its traces on you. And you will be forever changed by the encounter. The opening quote in this essay is by Paul Gruchow (1947-2004) from Journal of a Prairie Year (Milkweed Editions). Gruchow suffered from severe depression; for many years he found solace in the outdoors and on the prairie. Among his other works are Boundary Waters: Grace of the Wild; The Necessity of Empty Places; Travels in Canoe Country; and Grass Roots: The Universe of Home. His writing is observational, wryly humorous, attentive to detail, and reflective. If you haven’t read Gruchow, let this be the year that you do. All photos copyright Cindy Crosby (top to bottom): snow on the tallgrass, Fermilab prairie (interpretive trail), Batavia, IL; ice crystals on the path, Fermilab prairie (interpretive trail), Batavia, IL; pale purple coneflower seed head (Echinacea pallida), Fermilab prairie (interpretive trail), Batavia, IL; snow pocket melting in the sun, Fermilab prairie (interpretive trail), Batavia, IL; Indian hemp (Apocynum cannabinum), Fermilab prairie (interpretive trail), Batavia, IL; removing invasives, Schulenberg Prairie, The Morton Arboretum, Lisle, IL; prairie dock (Silphium terebinthinaceum) leaf, Fermilab prairie (interpretive trail), Batavia, IL; ice, Fermilab prairie (interpretive trail), Batavia, IL; grasses in January, Fermilab prairie (interpretive trail), Batavia, IL; prairie road, Nachusa Grasslands, The Nature Conservancy, Franklin Grove, IL; rattlesnake master (Eryngium yuccifolium), Fermilab prairie (interpretive trail), Batavia, IL; prescribed burn, Schulenberg Prairie at The Morton Arboretum, Lisle, IL: Canada goldenrod (Solidago canadensis), Fermilab prairie (interpretive trail), Batavia, IL; hiking on New Year’s day, Fermilab prairie (interpretive trail), Batavia, IL; working to restore bison, Nachusa Grasslands, The Nature Conservancy, Franklin Grove, IL; snowy road, Nachusa Grasslands, The Nature Conservancy, Franklin Grove, IL; tracks through frost, Fermilab prairie (interpretive trail), Batavia, IL. The sun lobs her light into the early morning hours. Mist rises from the warmth of the tallgrass into the cool air. It’s quiet, except for the wake-up songs of a few migrating warblers, resting in the nearby trees. Dawn is later now. The autumn equinox is only days away. You feel the transition in the slant of the light, the scent of the breezes. The just-past-full harvest moon this week seemed to speak of the cold and dark to come. The prairie year rushes toward its inevitable conclusion. Drive by the prairie in late September. The impression is a sea of grasses. It’s easy to be indifferent to the seeming sameness, if you don’t take time to pay attention and look carefully. So. Get out of your car. Sit. Look up at the sunflowers. See the migrating monarch nectaring? Celebrate the grasshopper, the bee, the cricket. Each one with plant associations; each irreplaceable in the prairie community. Applaud the profusion of asters, dabbing the prairie with purple. Watch as the prairie, under the lessening light, gently puts on the brakes. Seeds ripen and fall; some gathered by volunteers, others fuel for grassland birds or tiny mice and voles. Bison thicken up their hairy chocolate-colored coats. Admire the boneset, one of the last flushes of extravagant flowers before the frosts touch the grasses. Boneset was once valued for its medicinal qualities; its ability to alleviate pain. Discomfort is part of change, but there is always solace in unexpected places. The clouds of pale boneset are one of the comforts of a prairie in transition. Inhale, smell the buttery prairie dropseed, the lemony scent of gray-headed coneflower seeds, the dusty mint of bee balm. Are transitions difficult for you, as they are for me? Are you watching and listening as the tallgrass moves from the warm season; melds into the coming cold? Let the prairie remind you that there is always something amazing waiting, just around the corner. Love the transitions. Embrace what is bittersweet. Don’t be indifferent. Or afraid of change. Keep moving forward with anticipation to the new season ahead. The opening quote is from Grass Roots: The Universe of Home, by Minnesota writer Paul Gruchow (1947-2004). Gruchow grappled with depression throughout his writing life; he found solace in the solitude of wild places, especially prairie. All photos copyright Cindy Crosby: (top to bottom): Prairie planting, The Morton Arboretum, Lisle, IL; just past full harvest moon seen from author’s prairie patch, Glen Ellyn, IL; Clear Creek, Nachusa Grasslands, The Nature Conservancy, Franklin Grove, IL; little bluestem (Schizachyrium scoparium), Nachusa Grasslands, The Nature Conservancy, Franklin Grove, IL; monarch butterfly (Danaus plexippus) on Maximilian sunflowers (Helianthus maximiliani), Schulenberg Prairie, The Morton Arboretum, Lisle, IL; red-legged grasshopper (Melanoplus femurrubrum) on Canada wild rye (Elymus canadensis), Schulenberg Prairie, The Morton Arboretum, Lisle, IL; silky asters (Symphyotrichum sericeum), Nachusa Grasslands, The Nature Conservancy, Franklin Grove, IL; bison (Bison bison), Nachusa Grasslands, The Nature Conservancy, Franklin Grove, IL; tall boneset (Eupatorium altissimum), Schulenberg Prairie, The Morton Arboretum, Lisle, IL; mist over prairie planting, The Morton Arboretum, Lisle, IL; September on the Schulenberg Prairie, The Morton Arboretum, Lisle, IL. Temperatures in the Chicago region continue to plummet below zero. The ice-slicked prairie trails glisten, hard-packed and unforgiving. It’s hazardous hiking even for those of us who are passionate about the tallgrass. Time to curl up with a good book. Two of my favorites, Journal of a Prairie Year and Grassroots: The Universe of Home— both by Paul Gruchow — have been excellent companions during this week’s bone-chilling weather. Journal of a Prairie Year is a quiet, month-by-month documentary of Gruchow’s walks that begin in January and end in December; Grassroots, a prairie memoir of sorts, contains his seminal essay on tallgrass, “What the Prairie Teaches Us.” Few people have loved and written about prairie the way Paul did, and his passion for the tallgrass lives on through his words. 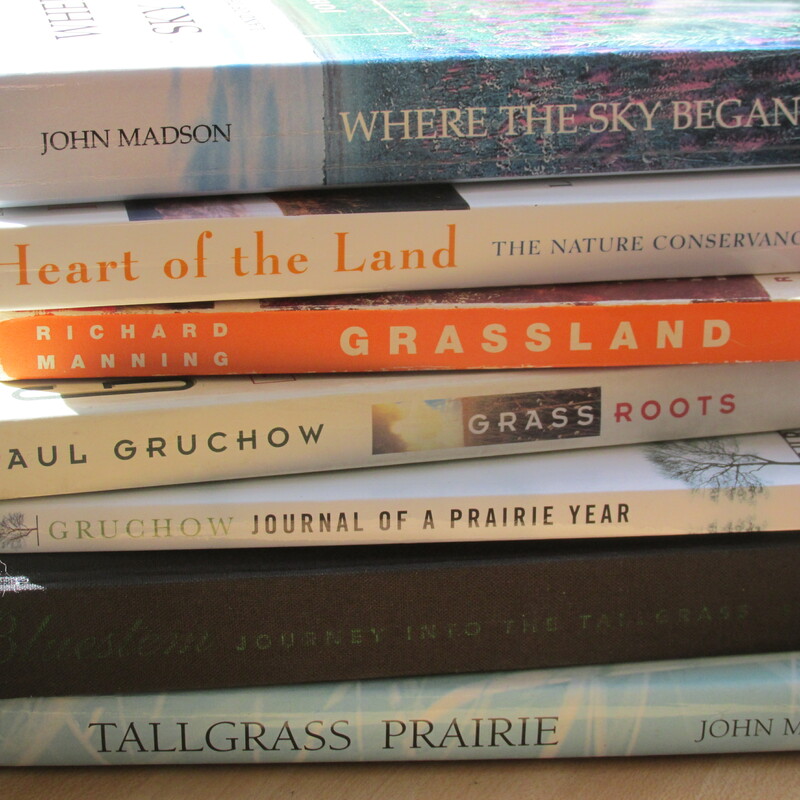 Kudos to The Nature Conservancy for their work, documented in two beautiful coffee-table type reads, Big Bluestem: Journey into the Tallgrass (Annick Smith), and Tallgrass Prairie (John Madson/Frank Oberle). Each is filled with gorgeous photography and eloquent writing. When the gray days seem endless, I browse through the color photos of lavender coneflowers and orange butterflyweed. Spring feels a little closer. As I leaf through the images of prescribed burns and smoldering flames, I also feel a little warmer. Louise Erdrich’s essay Big Grass, appears in The Heart of the Land, a general nature collection from The Nature Conservancy. It’s perhaps the most emotionally-charged piece of writing I’ve ever read, and I assign it to students in my nature writing classes. And any of us who has ever planted a patch of prairie has Stephen Apfelbaums’ Nature’s Second Chance on the nightstand or close at hand for reassurance and comfort. 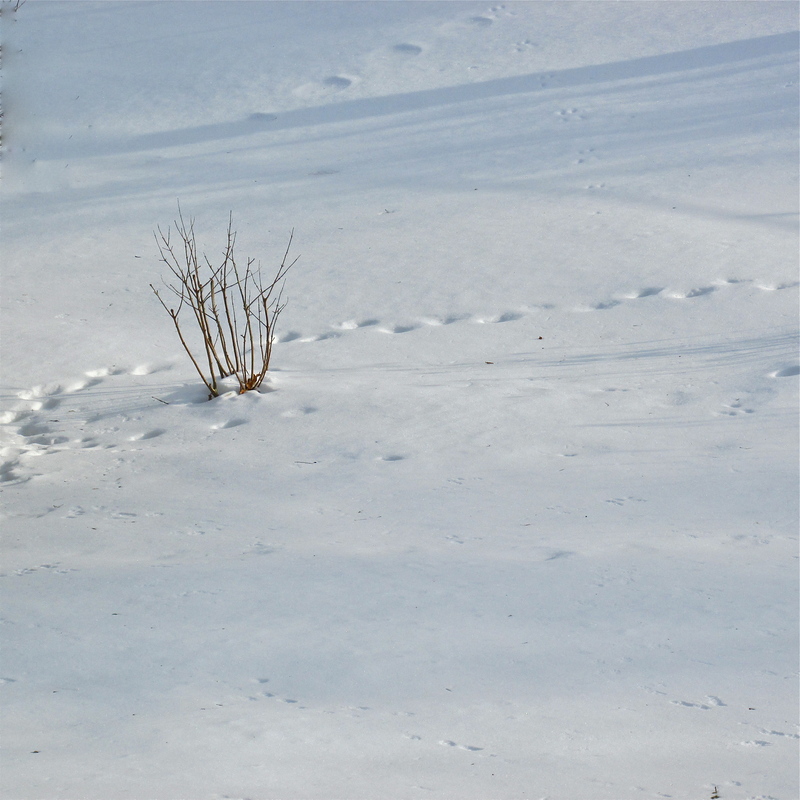 We find he’s encountered the same resistance from neighbors and nature as we have. Want to know more about the history, biology, and politics of prairie? Grassland, by Richard Manning, is where I turn. In the same book stack is John Madson’s Where the Sky Began, many prairie lovers’ desert island book and one I find as comfortable as my favorite old fleece socks. Madson’s closing lines are a quote from Thomas Wolfe’s book, Look Homeward, Angel: O lost, and by the wind grieved, ghost, come back again and are some of the most heartfelt words ever appropriated to describe prairie restoration. I’ve only found a single anthology devoted to prairie; editor John T. Price’s The Tallgrass Prairie Reader from University of Iowa Press. One of the gifts of his volume is its diverse prairie literature arranged by the century in which it was written. 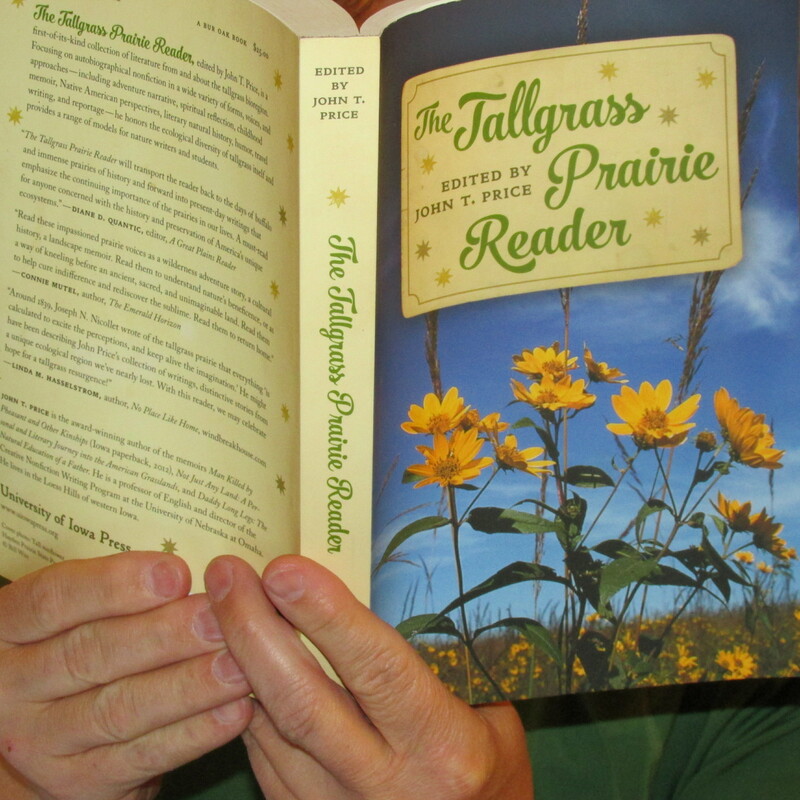 The reader comes away with a new understanding of how tallgrass has been viewed over hundreds of years. 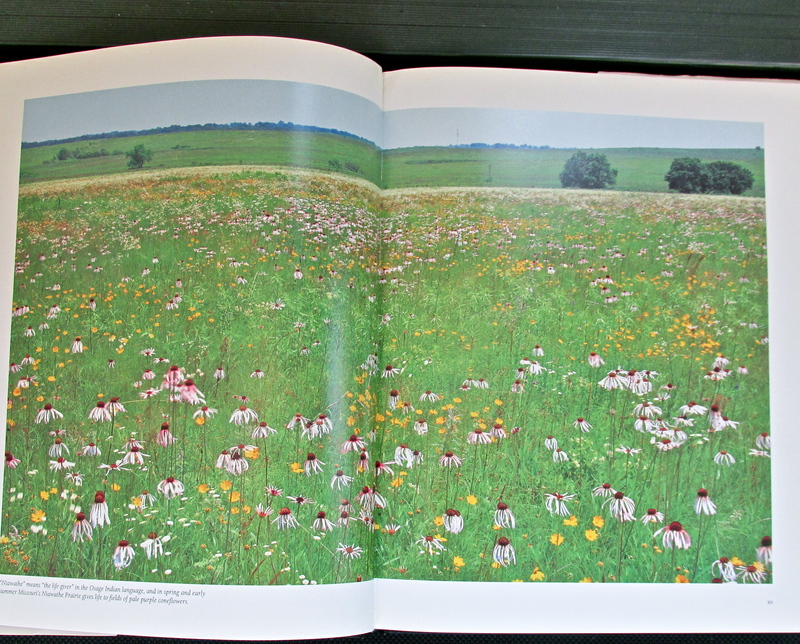 I’m delighted to have an essay about the Schulenberg Prairie included in his collection; Price, Thomas Dean, Lisa Knopp, Drake Hokanson, Elizabeth Dodd, and Mary Swander all have terrific contemporary pieces about prairie represented here. Prairie restoration is about restoring habitat and increasing diversity: pulling weeds, collecting seeds, and cutting brush. But preserving prairie also happens through planting words and images in hearts and minds. Each winter, when I hang up my hiking boots for a few days and huddle by the fireplace with my stack of books, I’m grateful for these “restorationists” who do just that.